American numismatics is a highly developed collecting area that, especially compared to numismatics of other countries, is way ahead of its time. One area where this is very obvious is the “obsession” that American collectors have with grades. The 1-70 system developed by William Sheldon is uniquely American and only in the past few years has this system spread to other countries, often being received with resentment from old timers and frowned eye-brows (at best) by more open-minded collectors. Yet, American collectors (and grading companies) have gone even further, introducing such grading terms as “Full Bell Lines” and “Full Bands”, indicating the strike and overall quality of certain type of coins. One such designation is “Full Steps”, and in this article we will take a look at this unique designation used when grading Jefferson Nickels. The Jefferson Nickel was introduced in 1938 and replaced the Buffalo Nickel design which had been in use since 1913. On the obverse it features a bust of Thomas Jefferson, while on the reverse his home, Monticello, is prominently featured. Numismatists have discovered that the steps are often weakly struck, and for many years fully struck steps (“full steps”) are rare to virtually non-existent. This article will take a brief look at why full steps are so coveted and some of the rarest issues to find with full steps, which constitute of some of the few true key date Jefferson Nickels, since not a single issue can be considered to be a rarity or even a scarce coin in most grades. 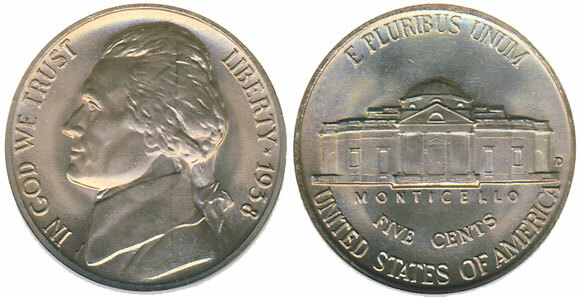 Strike had always been a problem for the nickel when the Jefferson Nickel was introduced in 1938. Due to the hardness of the metal, die cracks, breaks, and cuds were extremely common in the Shield Nickel series, and while the Liberty and Buffalo nickel designs still exhibited occasional damage from the use of the dies, they were not quite that common. However, weak strikes were still very common on any nickel, including the Jefferson Nickels and as the determining factor collectors have chosen to focus on the steps of Monticello. These are often the weakest struck thanks to the position, which is exactly opposite of Jefferson’s hair, the highest point on the obverse. Focusing on the strength of the steps was an important point to some collectors as early as the 1940’s, but “step collecting” as it is sometimes referred to didn’t really take off until the 1970’s, with it having been a slow progress and still a very specialized area of the Jefferson Nickel market. PCGS and NGC started designating full step Jefferson Nickels (each using slightly different and in the case of NGC later revised standards) in the late 1990’s and together with the Registry Set Program collecting full step Jefferson Nickels has become more popular than ever. We will take a brief look at some of the major rarities within the Jefferson Nickel series to find with full steps. There is however one important aspect to remember. 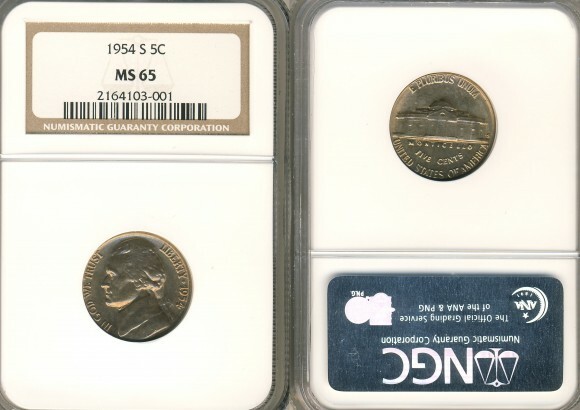 As important as the steps are to modern-day Jefferson Nickel collectors a full step coin does not mean that the rest of the coin is fully struck, nor does it mean that a coin that has not been graded as having full steps is a weakly struck example. The sharpness of the lines that represent the steps of Monticello is just one of the factors that are taken into consideration; the step area must also been clear of any hits, scratches or other post-strike impairments that disrupt the lines. The general consensus is that 5 full steps must be visible (initially NGC required 6 full steps) with no interruptions. That said, if you do find any of the dates mentioned below with just a little mark preventing the coin from grading full steps you still have found a major rarity with many multiples of a regular Jefferson Nickel of that year. During the earliest years of production strike and step quality was generally good, although there are a few dates that are scarce with full steps. 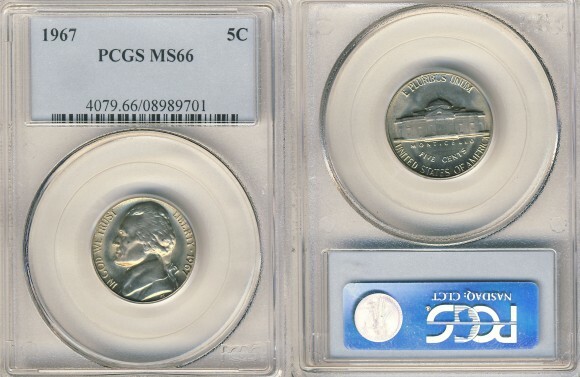 The first true rarity of the series with full steps, however, is the 1953-S. PCGS has graded 19 full step coins, the finest MS-66FS, with the majority grading MS-64FS (valued at approximately $1300). Gems are extremely rare (PCGS has graded just a single example at that level with one finer). NGC has graded a single full step example, MS-64FS as well. The 1954-S is similar to the 1953-S although strike quality seems to have improved marginally this year. Populations remain very, very low, but there are just a few more gems available. PCGS has certified a total of 25 full step examples, the finest MS-67FS, a coin valued in the PCGS price guide at $50,000 but never sold publicly. No full step gems have sold since 2008, when one sold at auction for $5,750. We group these two coins under the same heading because they have one thing in common: they are virtually unknown with full steps. The 1960-D does not have a single coin certified with full steps, and PCGS has only graded a few 1961-D as having full steps. At one point there was a full step 1960-D graded (it sold at auction in 2004 for over $32,000) but this coin was later downgraded as it was felt that the coin did not display the steps necessary to designate it as having full steps. As for the 1961-D, only three have graded full steps (2 MS-64FS and a single MS-65FS), the gem which sold for $23,000 in 2004. NGC has not graded a single example of either date in full steps. Even though it is never qualified as a full step rarity at the same level as the 1960-D or some of the other dates the 1967 is one of the true key-dates in full steps. In fact, it might not exist, as neither PCGS nor NGC have ever graded a single example. This was the last year where the old hub that had been in use since 1940 to make the dies was used, and much of the detail was worn off. As a result none of the dies used to produce nickels in 1967 might have had steps on them in the first place. It must be noted that the “special mint set” coins produced for collectors were struck from dies that were made from a different master hub, and those generally do exhibit full step details, but have more prooflike surfaces and are in a different category. These are the last true rarities with full steps in the series, although there are a few dates that are scarce with full steps later on. The 1968-D is represented by a single MS-64FS at PCGS, a single MS-65FS 1969-D has graded at NGC, no 1969-S has attained the full step designation at either service, and the only full step 1970-D’s known are three examples (two MS-64FS and a single MS-65FS). Any coin from the late 1960’s from the Denver or San Francisco Mint is scarce to extremely rare in full steps, and striking characteristics of the rest of the coin are generally very poor. Unlike the 1967 that was struck from dies that were created from the old master hub these dates were struck from dies from a new master hub, that had all the details strengthened. The rarity of full step coins for these three issues indicate that overall quality and strike was very poor during this period, and it would take until 1971 when it finally improved. There have been no recent auctions for any of these four dates in full steps. Simply stated, there is such thing as a rare Jefferson Nickel, although its rarity is focused on rarity in certain grades instead of absolute rarity. As previously mentioned, after 1971 striking quality improved, and the only issue that is tough in full steps is the 1976, while others are relatively easy to find. 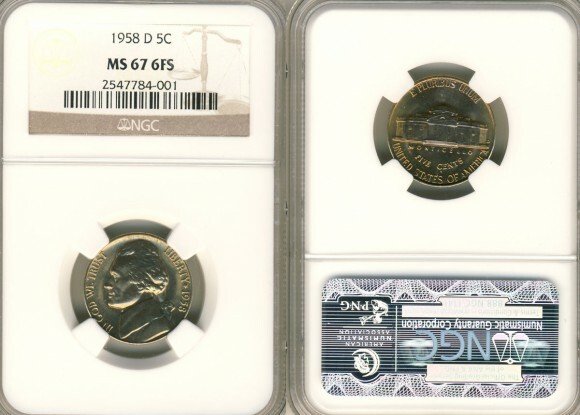 The reverse was strengthened considerably in 1990 and after that year most coins will exhibit six full steps, although any hits or nicks on the steps will prevent a coin from grading full steps at both PCGS and NGC. I would like to add, that all the dates of Jefferson nickels from 1938 to 1970 are difficult to collect with full steps when the coin has a EDS (early die state) strike. I truly believe the US Mint went to great lengths to give us collector coins with the fullest of details. You don’t worry about the steps being full as they are the last to fill out on a fully imaged coin that was intended by the sculptor. Look for the deep hairlines on Jefferson and the sharp detailed windows and the outer end steps on the Monticello. And then worry if there are any bonus steps. Believe me when I say this, this is the way to collect Jefferson nickels. You can check out my entire collection at http://www.fsjeffersonnickels.com There, you can see the 1953-S that I sold for $25000 and a 1944-D PCGS MS67 with 6 steps that sold for $6000. Many of my coins have EDS strikes and presentable steps and they will not go cheap. I believe I have found a 1969 d nickel with full steps. I found it in some pocket change and it caught my eye cuz it looks like a brand new coin. I decided to investigate and found out about the whole fs situation and couldn’t believe it when I took a look through the magnifying glass and seen the steps. They are hard to see without one. I guess I will send it to the professionals to get graded and see what the final verdict is. Wish me luck as I am going to need it the way it sounds. I am excited but I won’t get my hopes up till it’s official. I have a 1964 no mint mark Jefferson nickle virtually almost 0 scratches. Double or thick rim. I think it has full steps! Not really shiney but in good condition. What do you think? I have a 1966 Jefferson nickle! Looks new! Found it in pocket change! I looked through my magnifier & it looks to have full steps all the way across. Beautiful coin! Amanda, have you checked the Guide Book of Buffalo and Jefferson Nickels? It’s available online from most major booksellers, and may also be in your local library. “Mega Red” (the expanded edition of the Guide Book of United States Coins, a.k.a. the “Red Book”) lists values for Full Steps nickels and includes an interesting variety of the 1940 coin with a reverse from a 1938 die. Mega Red is rather pricey if you’re just looking up a single coin, but your library should be able to get a copy via interlibrary loan. Good luck! I have a beautiful 1944 Full steps and I’m sending it in This week.I can’t find anything about any fortys and it’s got me scared that all this time I’ve thought it was special but I’m going to Keep my fingers and toes crossed Love all the information I just was hoping for earlier years .. I have 3 full step nickel a 1954 no mint ,1961s,1968s they are all full step they have value right.the reason I say this because I took my nickel to coin shop they said it only had face value. I definitely have a full step 1966 Jefferson nickel FS. And woould like to sell it. Gem by 1970 full step nickel. Can’t find any info.I have one.